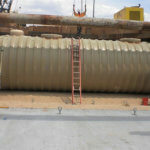 Underground storage tanks, or USTs, are those that have at least 10 percent of their volume beneath the ground’s surface. They’re typically constructed of either steel or aluminum, composite materials (i.e., fiberglass, carbon fiber) or a composite-metal hybrid. The typical volume of a UST varies upon the application, and can range from a few hundred gallons to 500,000+ gallons. By way of example, the average corner gas station might have 3-4 10,000 gallon USTs underneath the concrete where drivers fill up their cars, one each for regular unleaded, mid-grade, premium and perhaps diesel. USTs are not as ubiquitous as they once were due to leakage issues from corrosion and the associated liability from the resulting pollution. Although still in use, they’re more strictly regulated to prevent the release of petroleum and other harmful contaminants. 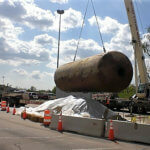 The right professionals are imperative to the design, construction, and operation/maintenance of USTs. 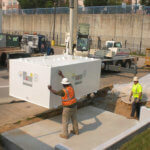 ASTs, or aboveground storage tanks, are similar to USTs in that they’re often constructed from metal, plastic, composite materials – or some combination of all three. The primary difference, as the name implies, is that ASTs are located completely above the ground surface. These tanks are more common than USTs, however like USTs, they must be designed according to the particular application as well as other factors such as resistance to fire/explosion, safety barriers for vehicular traffic, etc. 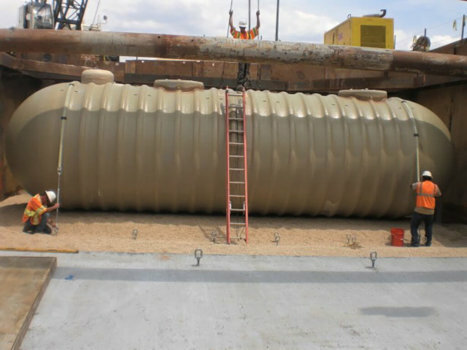 A typical AST for a commercial or municipal fueling operation might be a 10,000 gallon vaulted tank surrounded by a protective concrete covering. The average residential AST is a 275 gallon oval shaped steel vessel for heating purposes. At TEC, we specialize in taking USTs and ASTs from concept to reality, helping you with everything from installation to removal/abandonment to repair/replacement and the construction management that accompanies it.